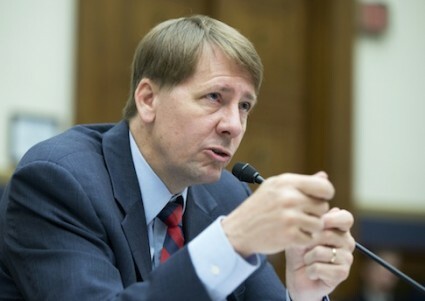 The Consumer Financial Protection Bureau (CFPB) is planning an "all hands" meeting for its more than 1,300 employees at a hotel in Washington, D.C., this summer, with cost estimates nearing $400,000. The agency will book up to 475 hotel rooms each night for a five-day conference in July. The CFPB issued a solicitation on Friday, which included an attachment with the agency’s request for hotel accommodations. The event is billed as a "training meeting," which will be run by its Supervision Enforcement and Fair Lending division. The division is responsible for ensuring large banks are complying with the more than 400 regulations found within the 2,300-page Dodd-Frank law. The meeting is tentatively planned for July 20-25, with employees staying at the hotel Sunday through Friday. The CFPB expects to need 150 rooms Sunday evening; 475 rooms Monday through Wednesday; and 400 rooms on Thursday, for a total of 1,975 nights. "Lodging rates must be within the Government Per Diem rate or lower for the Washington, DC Area," according to the attachment to the solicitation. "CFPB travelers shall check-in individually and shall pay guest room costs by individual Government credit card or other individual method of payment." "Guest rooms must be individual private sleeping rooms with each having its own toilet facility," it added. At the per diem rate, which is listed at $167 for each room, the government is planning to spend $329,825 on hotel rooms for the meeting. The CFPB will also need an "all hands session room" for an event scheduled for Thursday where every employee is expected to attend. The room must "accommodate 1350 people set in theater style, without pillars or other structures that may obstruct the view of presentations, and 12 feet or greater ceiling." Additionally, the agency is requesting eight breakout rooms, five boardrooms, a general session area, a "secure office room," and numerous pieces of audio and visual equipment. The CFPB will also spend thousands on refreshments for its employees during the weeklong conference. "Light morning refreshments" for four morning breaks will serve coffee, pastries, bagels, and fruit for up to 700 people. The food can cost no more than $7.10 per person, meaning the agency is allotting up $16,330 for the breakfast breaks. Two afternoon breaks will also be catered, at a cost of up to $9,585 for coffee, soda, and snacks. Lunch will cost up to $34,200, with the agency allocating a maximum $18 per person for three days. Five hundred employees will be served on Tuesday, and 700 on Wednesday and Thursday. The five-day meeting will cost up to $389,940 for rooms and food alone. The CFPB did not return request for comment to provide further details on the purpose of the meeting, and why it is necessary for employees to stay at the hotel.